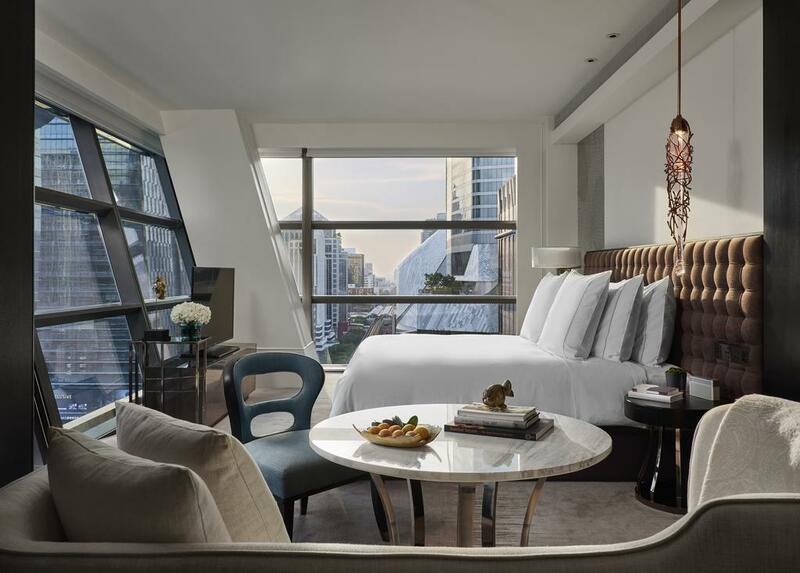 Rosewood Bangkok has opened as an intimate, ultra-luxury hotel on Ploenchit Road in heart of the city’s prime central business and retail district. As the 27th property in the growing global network for Rosewood Hotels & Resorts®, the hotel is the brand’s second destination in Thailand and also serves as a gateway to its sister Southeast Asian properties in Phuket; Phnom Penh, Cambodia; and Luang Prabang, Laos. Rosewood’s A Sense of Place® philosophy is exuberantly expressed with a design that honors rich Thai culture while celebrating the cutting-edge creativity and contemporary design ethos of the dynamic capital. 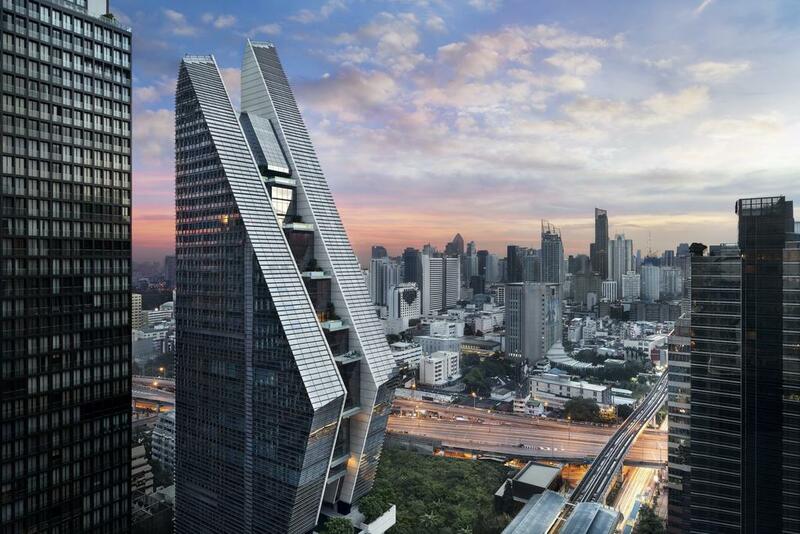 The silhouette of the 30-storey standalone property is a dramatic addition to the Bangkok skyline. Two graceful, connected structures have been masterfully combined to create a new icon for the capital. The building’s form is inspired by the wai -- the charming Thai gesture of hands pressed together in greeting – and is itself an expression of the Thai capital’s growing influence as a design, fashion and creative hub in the region. In addition to the structure’s glossy façade and stunning architecture, water features within the hotel -- including a dramatic, indoor 10-story waterfall -- are a tribute to Bangkok, a city built on water. The element of water -- sacred in Thai culture, featuring in rites and rituals to symbolize peace and harmony -- is a pervasive theme throughout the hotel. The hotel also showcases works of established and emerging Thai artists including significant pieces by Preecha Thaothong, named Thailand's National Artist of the Year 2009; Pinaree Sanpitak, one of the coutnry’s most respected female artists of her generation; and Torlarp Larpjaroensook, whose work both challenges and intrigues. The hotel’s “Art Connection” quarterly rotating exhibit features the multi-media works of emerging Thai artists, launching with a showcase of oil paintings by Kittaya Poolsawatdi. The innovative design and architecture of Rosewood Bangkok has allowed the creation of unique rooms and suites throughout the entire property, with no two floors sharing the same configuration. Allowing for maximum flexibility, privacy and intimacy, floorplates range from one to a maximum of 12 rooms per floor, and the property also showcases a number of bespoke signature suites, studios and houses, which boast private meditation areas, terraces, outdoor plunge pools as special amenities. 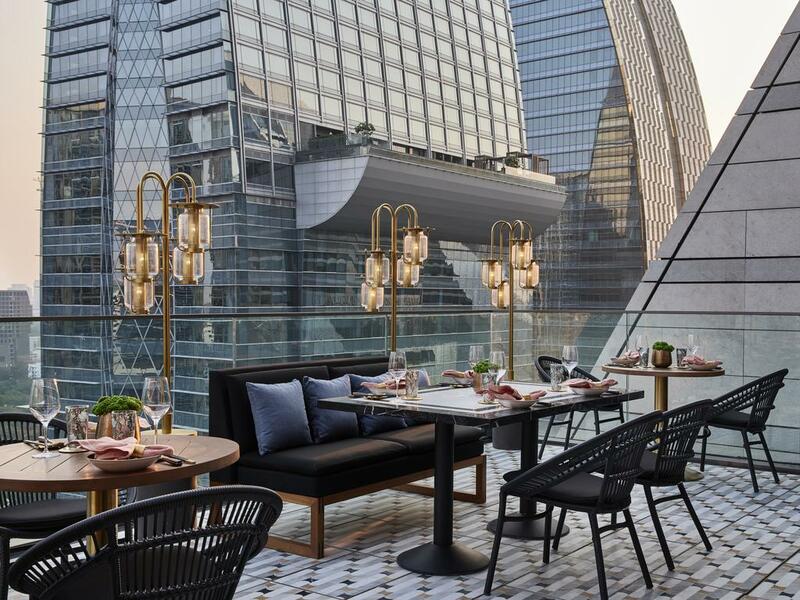 Nan Bei, meaning South and North respectively in Mandarin, is Rosewood Bangkok’s landmark restaurant -- a buzzy, stylish destination for Chinese dining, offering authentic regional specialties from the two China regions, served both indoors and outdoors. Open kitchens are dedicated to preparation of popular Southern Chinese seafood dishes and world-famous Peking Duck. Nan Bei represents Rosewood’s signature flair of establishing contemporary and differentiated dining concepts, with Nan Bei sure to become the “go to” hotspot amidst Bangkok’s dynamic restaurant scene.